A natural, refreshing mouthwash to access those hard to reach areas. For those hard to reach places in our mouths a Mouthwash is a must. Preventing bacteria and inflammation, Sage Mouthwash creates a balanced, healthy environment inside your mouth, which in turn helps reduce bacteria from growing in the first place. Sage Mouthwash will also naturally stimulate saliva production which helps re-mineralise your teeth, gums will be left toned and fortified, whilst breath is left fresh too. Suitable for daily use. Produced using Sage, Calendula and Horse Chestnut – organic is best for your skin and your teeth! 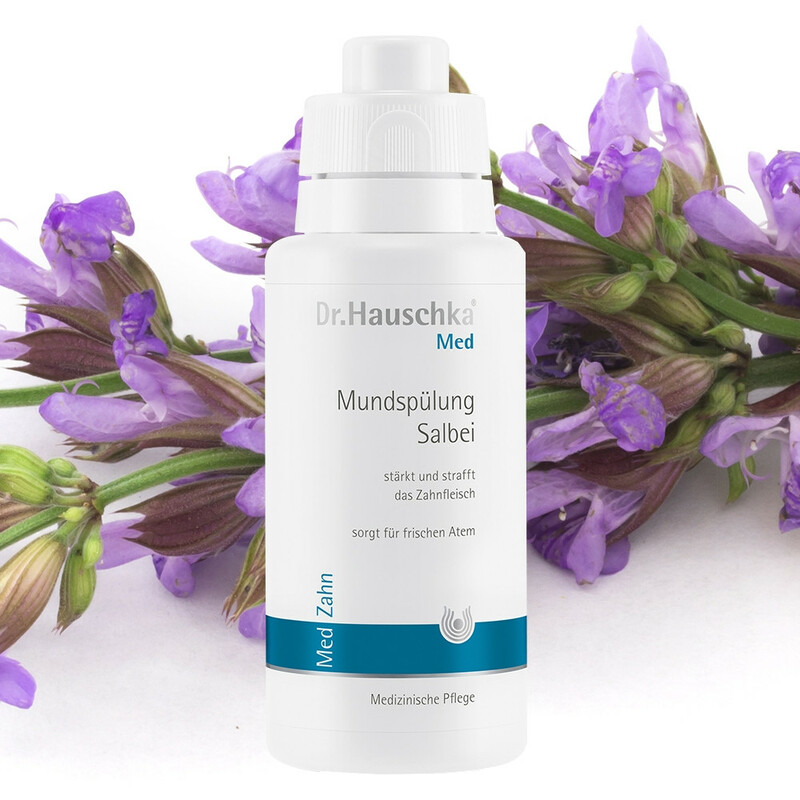 Note, all Dr Hauschka Med dental care products contain no added fluorides or surfactants. Tip: Ideal for the whole family. Ingredients: Water (Aqua), Alcohol, Sorbitol, Althaea Officinalis Leaf Extract, Salvia Officinalis (Sage) Leaf Extract, Krameria Triandra Root Extract, Calendula Officinalis Flower Extract, Potentilla Erecta Root Extract, Aesculus Hippocastanum (Horse Chestnut) Bark Extract, Melia Azadirachta Leaf Extract, Commiphora Myrrha Resin Extract, Fragrance (Parfum), Limonene*, Eugenol*, Linalool*, Sodium Magnesium Silicate, Glycerin, Propolis Wax.